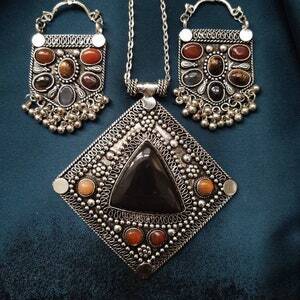 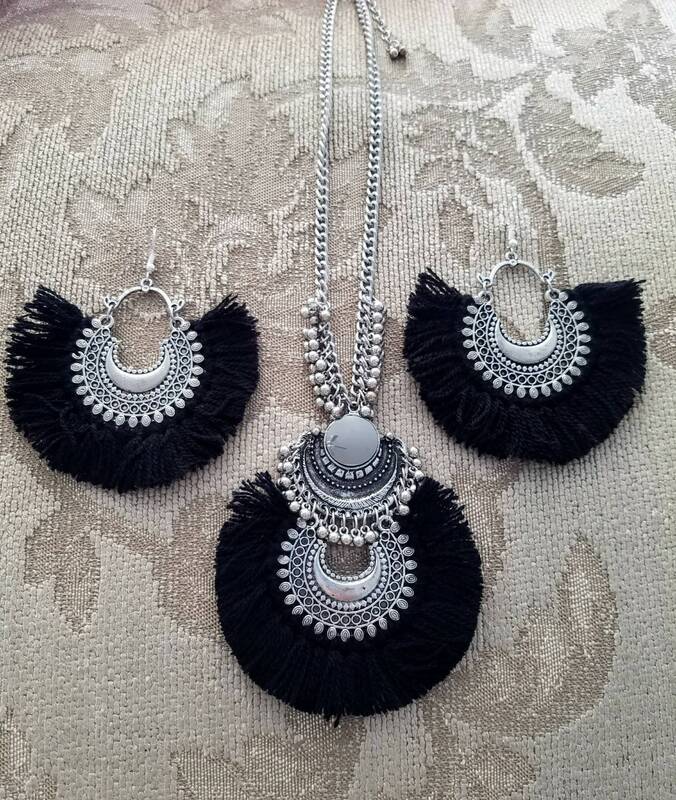 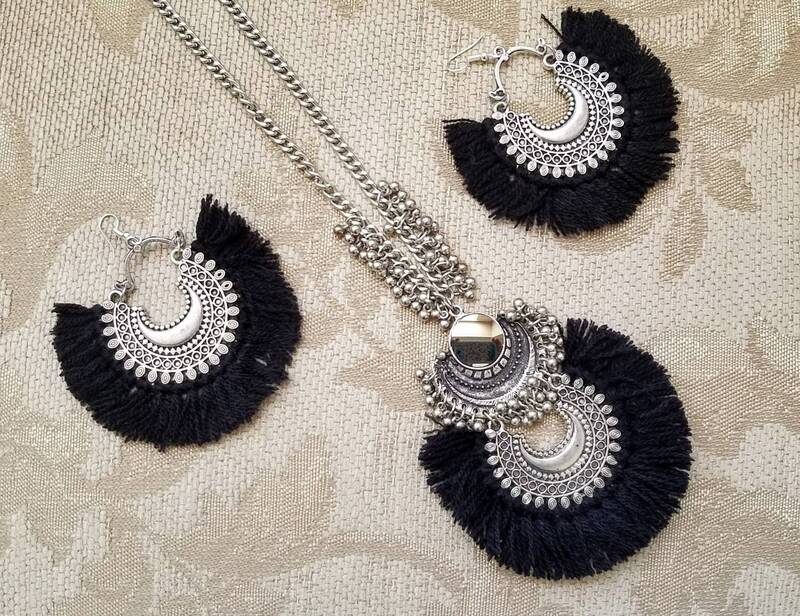 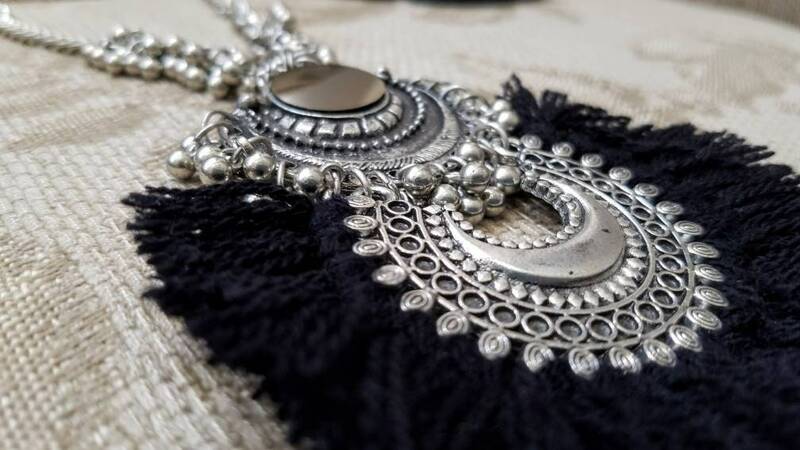 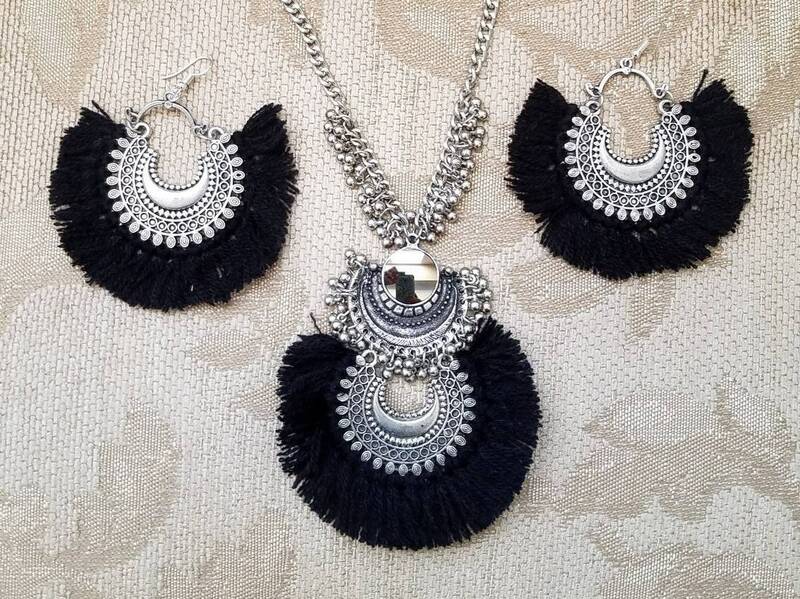 Look stunning in this hand made Afghani mirror black wool fringe pendant set. 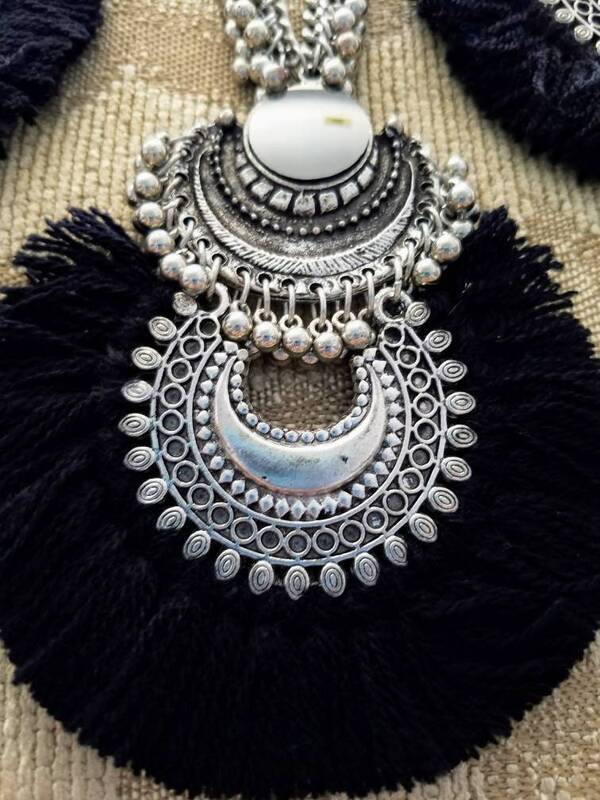 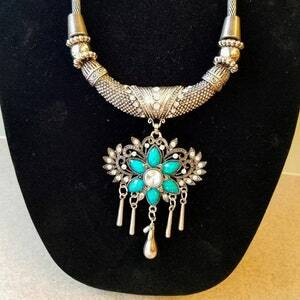 Perfect pendant for all seasons! 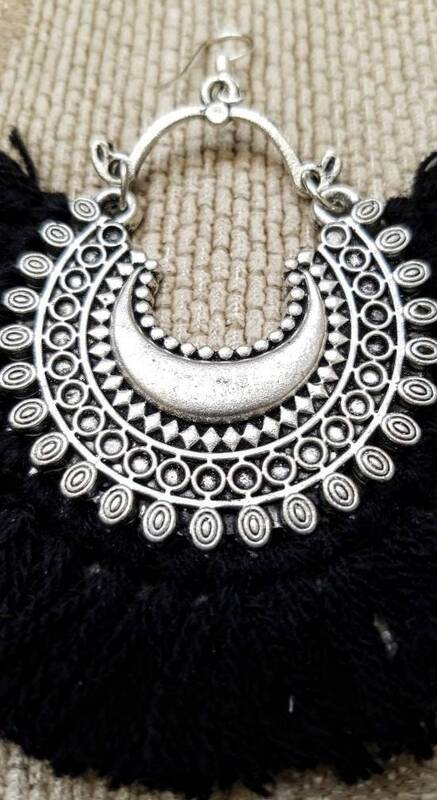 Shiny central medallion and detailed crescent shape pendant in chandbali shape. 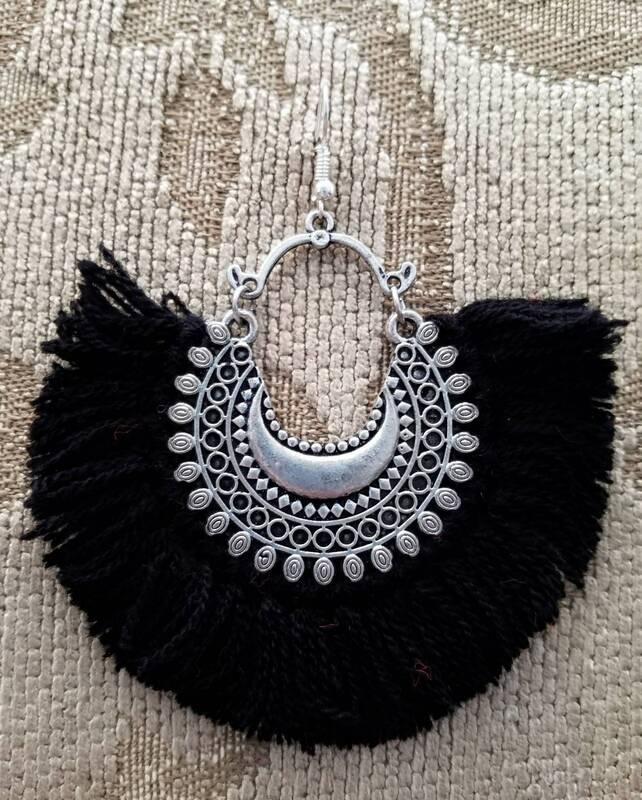 Matching earrings with jet black wool fringe. 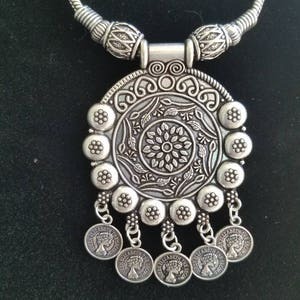 So much visual interest and movement! 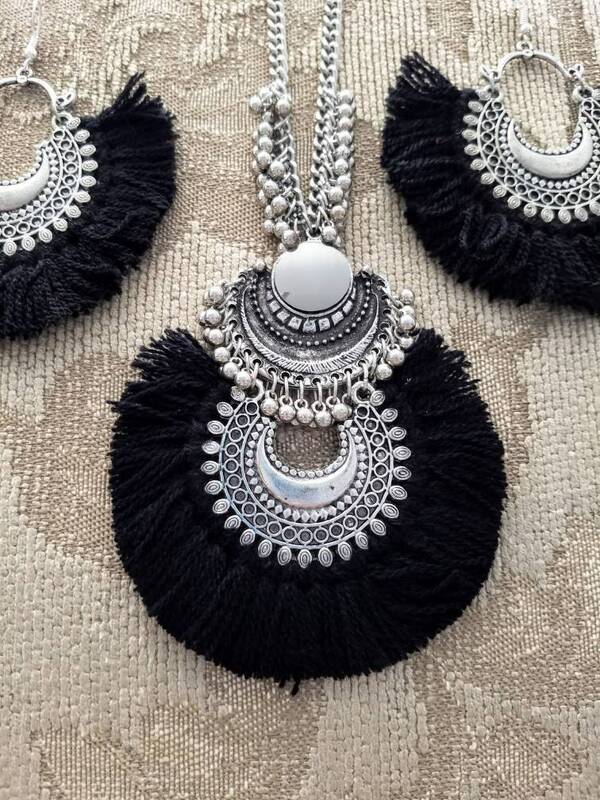 Highly reflective round mirror meant to reflect evil and the evil eye away from you. 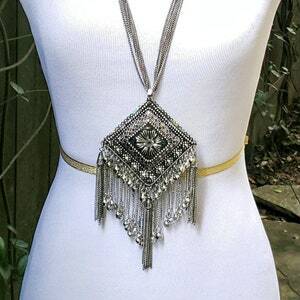 Substantial chain with a secure clasp.